Thanks to the Schoolism gesture drawing class, I am feeling inspired to do a bit more work on my, many years ongoing comic strip, or Bédé (Bandes Dessinées), as they are called in France. I have a whole series about my rediscovery of France and the French town of Angoulême two years ago, an other one about my addiction to coffee and Moka coffee makers, and a third one about my life in San Francisco. I will be starting slowly with a bunch of random stories as a warm up and to try different worklfows. As a teaser, here is a rough drawing from the first story I will be publishing. 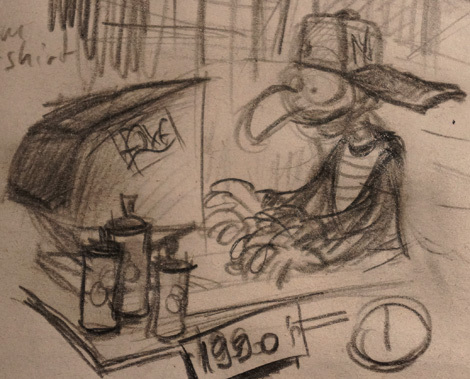 The story is well fleshed out but I started drawing on newsprint paper and I got stuck when I wanted to import this into the computer. Good thing a friend asked me to clean his Tablet PC last week. I also had one laying around and realised it would be a very handy tool for my comics! 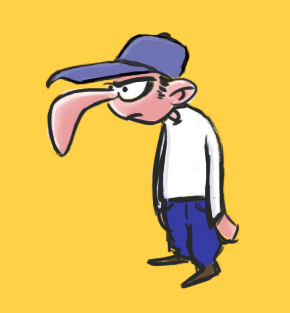 I don’t think I ever mentionned the work of incredible French cartoonist/character designer/story artist Christophe Lourdelet alias Zébé on this blog. Actually I did but that was a reaaaally long time ago. 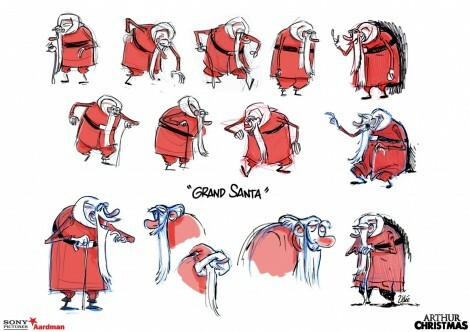 Zébé has done some great work for Aardman a while back and he is sharing some of his designs with us through a series of posts related to the production of Sony/Aardman’s “Pirates, Band of Misfits” and “Arthur Christmas”. I would also recommend a comic strips he posted right after his first trip to Aardman in Bristol. Sorry it is only in French but you might be able to understand the story through the clear facial expressions and poses. 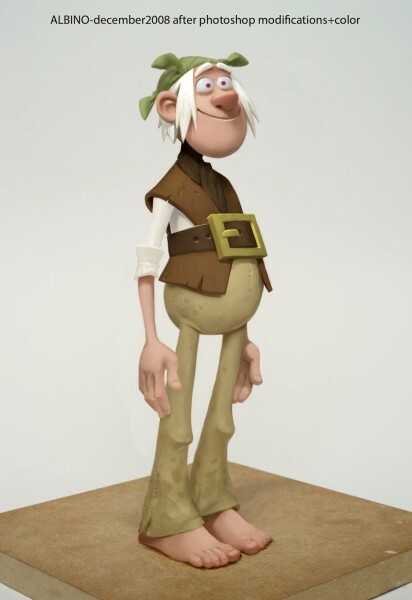 Zébé is probably a very modest, down to earth guy but in that strip he depicts himself as a pompous and haughty French man, completely unfazed by a gig at Wallace and Gromit’s creators studio, Aardman. The poses, gags and facial expressions always crack me up. 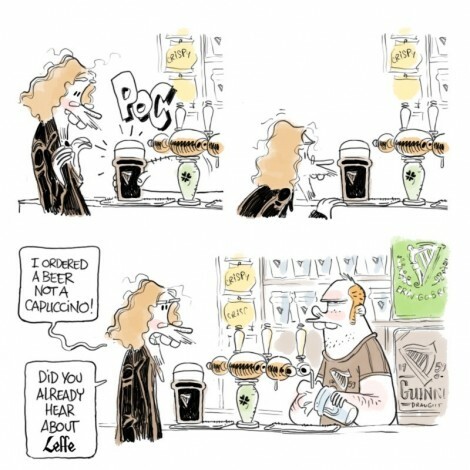 Mistaking a Guiness for a Cappucino …. genius! Zébé’s blog and his strips actually inspired me to start my own comics and I have been fleshing out some stories for the past few years. I will share some of them with you very soon. As a teaser, here is a quick digital clean up (still learning) of the main character. The posing is a bit wonkey but that’s the overall design, unless I decide to draw myself a bit taller. Working on a new short film and a series of comics stips, I am really into story and storyboarding those days so expect several posts about the topic. 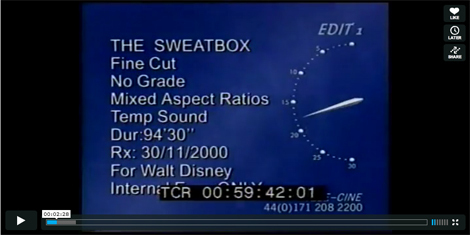 If the only copy of Incredibles you have is a pirated version without the exceptional behind the scenes (they don’t do extras like this anymore unfortunately), then you probably don’t know how intense Mark Andrews can be. 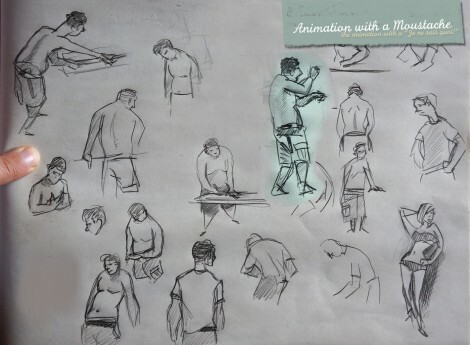 You are in luck though, someone just posted part of a lecture he gave at Calart. As a Splinedoctor podcasts listener, you know there is a new trend at Pixar where people don’t pitch storyboards by performing as an actor in front of the audience anymore. Instead they totally down-play the pitch and that is exactly what Andrews does here. An other interesting note is, DO NOT THUMBNAIL! Thumbnailing is about being precious. Instead you must draw rough. You must communicate your ideas as fast as possible so the bad ideas get put aside quickly. Check it out, it is very entertaining and as a side note, it looks like Michael Giacchino is in the audience with his kid. 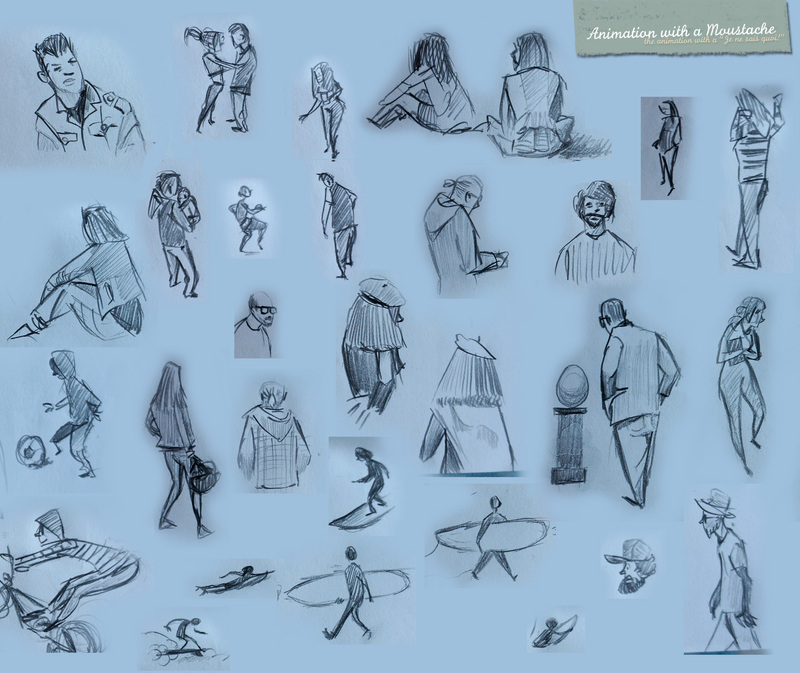 Last week I went to the beach to capture some surfin action, a bit of BMX and attended an art fair where friends were exhibiting.